CeCe McDonald was freed today! Many happinesses her way. Related: Laverne Cox is working on a documentary about CeCe. Consider helping fund it, because hello, this is very important work. Are you reading VillageQ? Because you should be. Because there’s a host of excellence going on there. I have a short story published in THEM Lit. If you have any interested in gender and literature, check it out. Everything in the publication is phenomenal—AND I hear they’re coming out with a paper run pretty soon here! 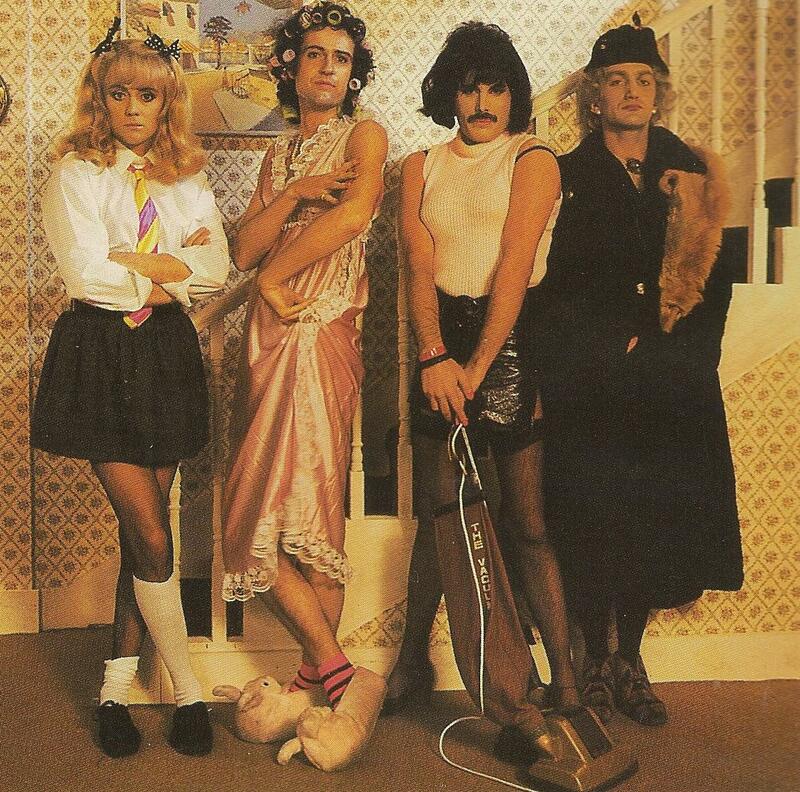 Members of Queen, in drag, looking amazing. From the music video for I Want To Break Free. I hate that phrase. Mr Mom. It always made me feel uncomfortable when I was a kid—like I wasn’t sure who they were mocking, but I was pretty sure I didn’t like it. Maybe it was personal—my dad does things coded as feminine by the patriarchy—he loves cooking and sewing, for example. Or maybe it was both my parents and their second wave teachings. Either way, I hate the phrase. I’m glad it seems to be going out of style, though a quick search on google’s news page tells me it’s not fully out of vernacular. OWCH. Cooking? I mean. I love cooking. I love feeding my family. But—and I admit this sounds a little ridiculous, but this is how it felt—if I died tomorrow, he’d remember me as that guy that cooked a lot. Not as the guy who writes. Not as a dad who reads with him, or who helps people out, or who gardens—but that guy that cooks. I don’t think I prepared myself for the little disappointments—the way that kids can sometimes cut at their parents. They have a lot of power! I’m sure there’s a lesson in here somewhere—maybe my own internalized sexism? Maybe not taking things so seriously? Maybe some of both? Anyway. We’re getting take out for dinner tonight. Gyros. You know you’re jealous. This entry was posted in gender, identity, Levi, parenting and tagged gender, identity, Levi, parenting. Bookmark the permalink. ← Family to the Rescue!